NIAGARA, Wis. — A three-run sixth was enough for Niagara to overcome an early deficit in a 5-3 win over Elcho on Wednesday. The Badgers fell in a 3-0 hole after three innings before coming back to take the WIAA Division 5 regional semifinal. Niagara plays at St. Thomas Aquinas/Lena at 1:30 p.m. Friday. Badgers head coach Duane Blagec huddled the team after the top of the sixth and made a request: three runs and three outs. The Badgers overcame three errors in the first three innings before making some big defensive plays to thwart Elcho’s offense. Badgers first-baseman Jaida Maki stabbed at a line drive over her head for an out and then tagged out a base-runner in the fourth inning. In the fifth, the Badgers made another double-play when shortstop Allison Wells caught a line drive and threw it across to Maki to double up the base-runner. In the bottom of the sixth, Adelynn Amundson came through for Niagara with a hard-hit two RBI-single. Haley Allred had two singles for the Badgers. Jayden Payette singled and doubled. In the bottom of the fifth, Niagara added another run to tighten Elcho’s lead to 3-2. The Badgers, whose dugout was quiet through the first three innings, had become lively with cheering. Niagara eased through the top of the sixth before grabbing the lead in the bottom half. 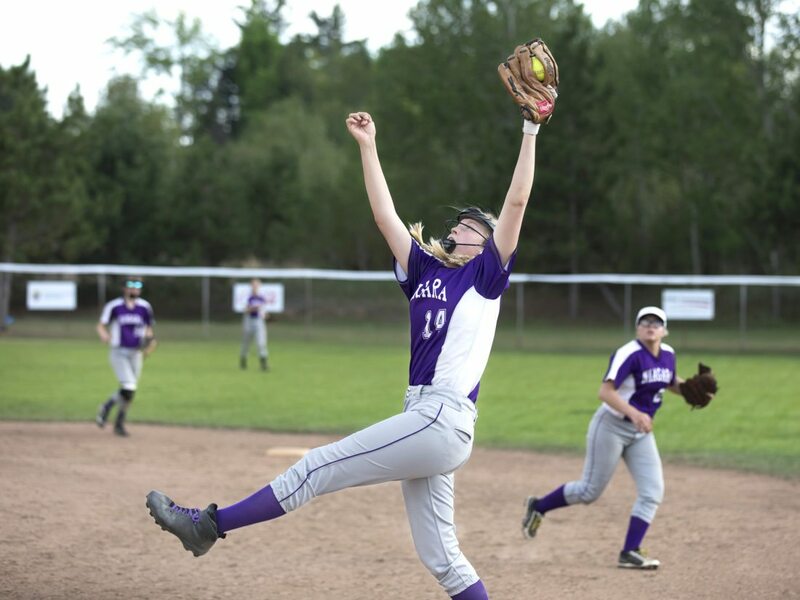 In the top of the seventh, Niagara stranded an Elcho runner at second base to end the game. Payette pitched for Niagara and gave up three runs on three hits with two walks and one strikeout.